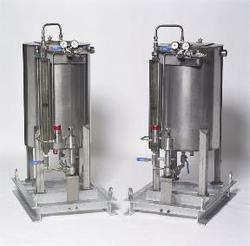 Manufacturer and Supplier of Chemical Dosing Systems. Our product range also comprises of Sewage Treatment Plants, Air Pollution Control Devices and Industrial Chemicals. Due to the altering and increasing requirements of patrons, we are affianced in offering a large collection of Chemical Dosing Systems. At well-equipped fabrication unit, a team of professional designs this product using topnotch grade raw material. As well, we make sure that the range which is presented by us is free from any defect; therefore quality auditors sternly inspect this product on each stage of the fabrication processes.